We are always trying to think of something different to design and make and sue has had this idea for sometime of a mummy’s little stars range. Well with all the numerous ongoing projects we have she finally managed to get a bit of time to work on this idea. 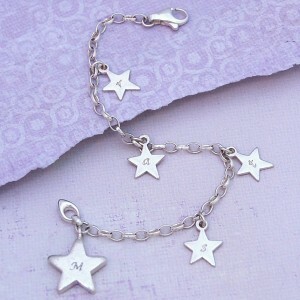 Sue decided to design the bracelet first using sterling silver belcher chain for the base. 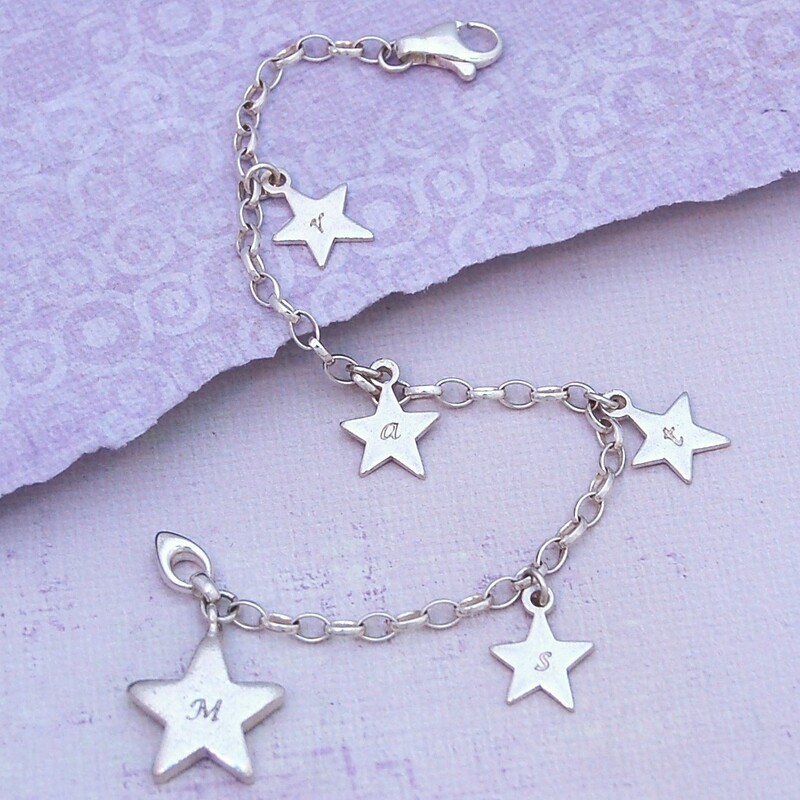 We then have one big star with the stamped initial M on it for mummy and then add four little stars with the stamped initial of the customers choice weather it be their kids or other family members. The bracelet is finished off with a carabiner clasp to make this a beautifully simple sterling silver personalised piece that is affordable and still makes a treasured keepsake . This entry was posted on Thursday, November 4th, 2010 at 12:39 am	and is filed under New Creations, personalised jewellery, Silver Jewellery.